LaVale Vol. Fire Dept. No. 1 421 National Highway, LaVale, MD 21502 July and August: Lions Pavilion, LaVale Park, George's Creek Blvd. 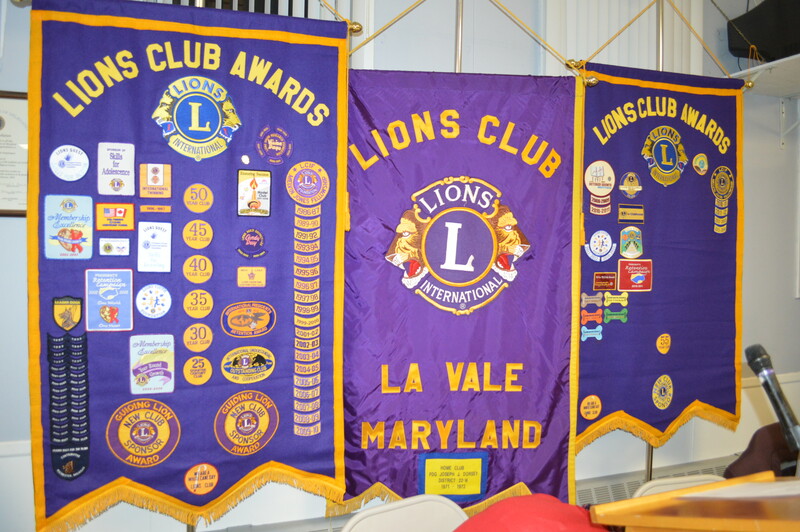 The LaVale Lions Club, in Western Maryland, is dedicated to service; our members volunteer to improve the quality of life and make a difference in the local community by providing services to the needy, and supporting projects of Lions Clubs International that have world-wide impact. Chartered on November 8, 1955, our club is a member of the global leader in humanitarian service: Lions Clubs International. We are part of Lions Multiple District 22: Maryland, Delaware, and the District of Columbia. We are located in District 22-W, in Western Maryland. 22-W includes Garrett, Allegany, Washington, Frederick, and Carroll Counties. The Club meets on the 1st and 3rd Tuesday of each month in September through June, at the LaVale Volunteer Fire Department, Streel Level Hall, 421 National HWY, LaVale, Maryland. These meetings are dinner/program meetings and commence at 6:30 p.m. Visitors from other clubs and prospective members are welcome to join us. Contact Club Secretary Charles Croft at 304-738-4708, in advance to make a reservation. In July and August, the club meets at the Lions Picnic Pavilion at LaVale Park, Upper Georges Creek BLVD, LaVale. Each picnic has a new menu, however famous Higson's sweet corn-on-the-cob is ready at 6:00 p.m. Through hands-on service projects and fund-raising, club members improve our community and promote a positive quality of life.